In the course of repaying your loan, you may require more funds. They are able to advance you additional funds through a top up loan once you have successfully repaid the current loan for at least 6 months. Their car loan is available to salaried customers to purchase a car for personal use. Maximum loan amount depends on the customer’s ability to pay. They not only offer loan to individuals who reside in Kenya but also to those in the Diaspora. Their Diaspora secured loan is available to non- resident Kenyan citizens working outside the country and their salaries are paid to an NIC Bank account or customers who transfer funds to an NIC Bank accounts on a regular basis. The applicant must have lived in the resident country and worked there for not less than 6 months. Are you looking to further your studies or need to pay for your semester fees? Their unsecured educational loan can be used by students to fund their own education or education of a child, dependent or relative. Loan proceeds will be made direct to the educational institution by way of Banker’s Cheque, RTGS or EFT (Transfer charges will be borne by the customer). Their overdraft facility is a short term credit loan that allows you to access more than what is available in your bank account. This is a revolving facility offered to personal customers. Their salary advance facility is granted to salaried employees to finance emergency needs awaiting receipt of salaries. Leveraging your personal assets can help you secure a loan or line of credit at a lower interest rate with NIC Bank. Personal assets could be your home, car or personal savings. The value of these assets helps their team of experts determine the rate of your loan or line of credit. Repayment period is up to 60 months or to retirement age/expiry of other critical docs. By taking up an unsecured personal loan with NIC Bank, they will not need you to provide any property or collateral to ‘secure’ or guarantee the loan. Rental income should be channeled through NIC Bank account & Original or certified true copy of tenancy agreement provide, supported by Deed of Rental Assignment upon loan approval. All Safaricom dealers and M-PESA agents can NOW deposit funds to make purchases for airtime or merchandise through any of the NIC Bank branches countrywide. The funds deposited in the NIC Safaricom collection Account will reflect in the dealer portal in real time. All dealers and agents who are NIC customers can transfer funds from their accounts through both online and mobile banking platforms 24/7 directly into the Safaricom collection account. This will enable dealers and agents to place their orders via the dealer portal anytime. Under this solution NIC bank offers 4 types of financing to Safaricom Dealers/ Agents. Float Financing: This is a product for authorized Safaricom M-Pesa agents who require financing their weekly M-Pesa float purchase. Limit: up to 0.5 times of the average monthly commission received by the business. Repayment can be daily or a lump sum payment at the end of the 5 days inclusive of interest. Must be a valid Safaricom Dealer or M-PESA agent and hold a copy of a Valid M-PESA agency agreement between themselves and Safaricom Limited. Completed and signed NIC application form as per account mandate. Commission or residual income statements for the last six months to be provided. Completed authority form allowing NIC to seek information on the business from Credit Reference Bureau and Safaricom Ltd. Documentation for the business entity. Board resolution to borrow from NIC Bank. Completed assignment of proceeds form in favor of NIC Bank in case of default. Completed letter of set off to allow NIC Bank use their commissions to offset any loan that may be in arrears. Airtime Financing: This is a product for authorized Safaricom dealers who require financing airtime purchase. The funds will be paid to Safaricom Collection account at NIC Bank and immediately credit the dealer portal for the dealer to access the funds. These funds will specifically be used to finance airtime purchase. Device Financing: This is a product for Safaricom authorized dealers who require purchasing devices for their business. Repayment can be daily, weekly or in lump sum payments at the end of the 30 days inclusive of interest. Motorcycle Financing: This product is for Safaricom Authorized Dealers who require purchasing a motorcycle for their business. The funds will be paid directly to the motorcycle vendor as per NIC Bank agreement with Safaricom. The loan will be repaid on a monthly basis on day of receipt of the residual income from Safaricom. Choosing the right mortgage plan is a top priority when beginning the journey to home ownership. The option you choose should fit your unique needs and preferences. At NIC Bank they have a dedicated team of Mortgage specialists to walk with you through the journey towards securing your dream home. Up to 90% financing for Kenyan residents and 70% financing for Kenyans in the Diaspora. Minimum amount of Kshs.1 million. Maximum amount is based on your ability to repay. This product is designed for construction of property. At NIC Bank, they offer land purchase of up to 60% financing and finance for building for up to 70%. Approved architectural and structural drawings of the proposed project. Project Implementation Schedule (Contractor’s work plan) detailing all activities and scheduled time frames; i.e. helps determine moratorium period if required. Building contract agreement between borrower and contractor. KRA PIN certificates for the borrower. The plot purchase loan allows a borrower to purchase undeveloped property designated for commercial or residential development. Limit: Maximum of Kshs.5million subject to LTV and serviceability. The applicant (in case of sole proprietor must be between 25 years and 65 years old). The borrower must have clear and proven source of repayment – already existing income streams that are sufficient to meet expected repayment. Copy of signed sale agreement between the buyer and vendor to be submitted to the Bank. This loan can be used to purchase property for owner occupier or for rental income. In case of residential, this shall apply where the owner of the business shall reside. In case of commercial the property shall generate rental income. Limit: Subject to LTV as per master credit policy with serviceability demonstrated from existing and projected income streams. Fire Policy over the property with Bank’s interest duly noted. The NIC Bank knows you’ve got big dreams to grow your business so don’t just sit back. Go to NIC Bank, the home of Asset Financing. NIC Bank assists clients acquire new and used movable assets at competitive interest and term rates. They have extensive knowledge of asset finance, with their team averaging decades of experience. NIC Bank understands that your business needs to run smoothly – and growing in line with your plans – you may need to buy new vehicles, equipment or machinery. This may be costly, so they offer a number of options to help spread the cost. Refinancing of existing equipment/motor vehicles. Current market valuation report from AA Kenya, Regent Valuers or the vehicle franchise holder in Kenya. Insurance Premium Financing (IPF) is a facility that enables you to pay your insurance premiums in installments rather than in one lump sum amount. IPF is only taken for short term policies, that is, those that are renewable annually. IPF allows an organization to obtain needed coverage without liquidating other assets or offering up collateral as with ordinary loans. For organizations, multiple insurance policies can be attached to a single premium finance contract allowing for a single payment plan to cover all insurance coverage. Turnaround time for payment of premium to the Insurance Company is 48 hours. An operating lease is a contract that allows a lessee to use an asset over a specific period of time in return for periodic payments based on partial payout of the capital cost of the asset. It does not convey the right of ownership of the asset. This product offering is currently available for Small and Medium Size Enterprises (SME’s), Corporate and Government both County and Central Government. NIC Bank offers reliable SME lending products that provide various business entities with an opportunity to grow through the provision of multiple lines of credit. They provide business loans as per specific requirements as they ensure quick turnaround time on facility requests. Club loans are typically used to finance business investments of the group and are suited for formal registered savings and investment groups. Maximum loan amount is Kshs.50, 000,000 or 4 times the amount of savings, whichever is lower. Loan to Value Ratio: 70% where security is pledged or being purchased. The scope of loans is to be limited to wealth creation activities. Total contributions per month should exceed more than 2 times the monthly loan repayment to the bank. This should be exclusive of any income generating activity. This product allows discounting of invoices from reputable customer base in the industries. You must have been a customer of the Bank for at least 6 months. Regular and consistent credits in the account for last 12 months. Credit turnover should not show declining trend and the account should record credit balance should at least once every quarter. A profile and review of the company that the borrower seeks to discount their invoices to be provided to assess the company’s credit worthiness and ability to honor such payments. The Invoice must be accepted by the payer. 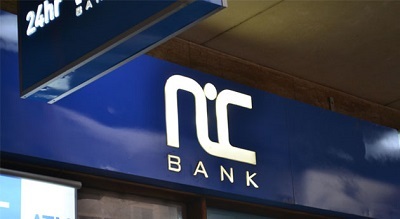 Payer to confirm that proceeds is to be paid directly to the Borrower’s account with NIC Bank. The payer is to be approved by the Bank and a tripartite agreement executed between the payer, borrower and the Bank. This is a product for medical practitioners who require bills to be discounted on services rendered to patients. Regular and consistent credits in the account for last 6 months. Credit turnover should not show declining trend and the account should record credit balance should at least once every quarter. Contract financing at NIC Bank is suitable for limited companies in contracting business to finance receivables. They finance 70% of the value of certificate subject to aggregate maximum of Kshs.10, 000,000 and a transaction value of between Kshs.1, 000,000 and Kshs.3, 000,000. The contractor to execute a fixed and floating debenture over all its assets in favor of the bank and should not have any existing securities with another bank i.e. Debenture. Deed of Assignments of Benefits under contract in favor of the Bank. NIC Bank finances the expansion of infrastructure or working capital of schools, colleges and universities. The secured business loan is suitable for SME customers cutting across all industries. The secured loan can be used as per the need of the business. The Business must have operated for at least 2 years. This does not apply to customers offering deposits as security. No adverse Credit Reference Bureau (CRB) report. The NIC Secured Overdraft facility can be used to finance working assets of a business, mainly stocks, trade debtors and creditors. Maximum loan amount is 25% of turnover for the last 12 months. You must have been a customer of the bank for at least 6 months. Where the customer is new to the bank, 12 months bank statement must be furnished. Trading and manufacturing businesses should be able to show evidence of the value of stocks purchased or credit sales which account for the financing need. Service businesses should be able to demonstrate that the period between their production and delivery of a service and the collection of billing invoices is reasonably short. Activity must be regular and predictable. Care should be taken with service businesses with long lead times or customers who are known to be slow payers. Repayment ability will be based strictly on existing business. Audited accounts must be provided for amounts above Kshs.15 Million. Due to the long term nature of capital expenditure for companies, financing is required for a matching term. Revenue from projects and equipment on term funding is usually generated after completion hence the need to match repayments to the customers future cash flow.